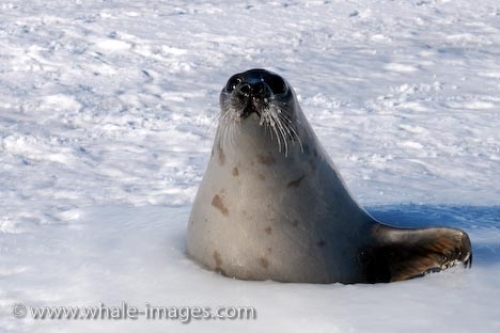 Order your quality tray of "Adult Female Harp Seal Picture Gulf Of St Lawrence" now! Photo of an adult female Harp Seal scoping out the area after finding an ice hole in the Gulf of St. Lawrence, Canada. "Adult Female Harp Seal Picture Gulf Of St Lawrence" tray!